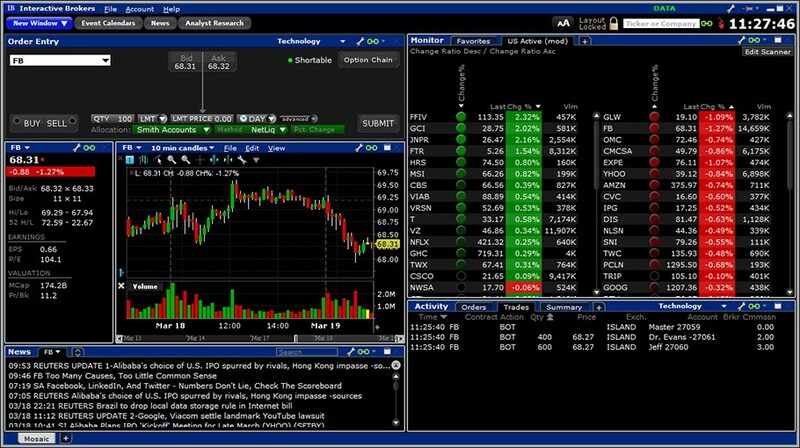 Your Own Wall Street: VPS for Traders. The list of technical means available to the trader is constantly growing, many technologies and ideas flow from other areas, adapting to the needs of participants in the financial market. If in the past a wide choice of instruments of trade was available mainly to experienced professionals, now even a beginner can get almost any opportunities, though not all traders use these opportunities. So why should a trader have a virtual server, what are his advantages? Each trader faced in his hard work with the problem of power outages or communications. And it does not matter whether you trade from home, from office or coworking, as a rule, there is only one power and communication line. And when power is cut off, the equipment installed in the building is usually turned off. And even if you work with a laptop or tablet, the mobile device’s battery will not save you. Losses from such failures can be significant. The inability to close a position, especially during the release of serious news, can cost a profit for several months of work, and sometimes simply zero the account. How to be in this situation? Of course, you can go through duplication. Buy a good UPS, which within an hour will provide power to your computer, a professional router with redundant wired Internet channels or “spare” wireless access. However, such a solution to the problem is a very expensive and complicated method. If install a household UPS will be able any user who is not even very knowledgeable in the technology then to choose the correct router and properly configure it is not for each person. Typically, the configuration of this equipment by a third-party specialist will cost at almost the price of the device itself. Windows VPS – the key to successful trading. There is a more modern solution, more economical, and more importantly – better, more reliable and more mobile. This is a virtual private server (VPS). Those who begin to professionally engage in trading, sooner or later think about how to make it more convenient. Specifically, VPS servers are designed for traders. In the case of a virtual server, you get access to resources on Windows OS: the capacity of its hard disk, processor power, RAM, etc. This computer is located in the data center of one of the hosting providers, access to it is done via the Internet. You specify the parameters of the virtual server when it is created and can at any time increase its capacity in accordance with trading activity. Redundant Internet channels and the convenience of working with the service through a single control panel, unlimited traffic – all this allows you to focus on the key tasks. A remote version of the Windows platform will be available around the clock from any device with access to the Internet (Windows, Mac OS, Linux, iOS, Android), which makes it possible to further customize to a smartphone or tablet. Traders can use Virtual Private Server to place exchange instruments, such as trading terminals (QUIK, MetaTrader, Transaq, etc.). You can also install a robot on the remote virtual server that will be trading while you are busy with other things. Since the speed of execution of transactions depends mainly on the broker, the time of reaction to price changes and decision making is important. The robot needs only a few nanoseconds to respond to the situation. Automated systems are able to handle orders for buying and selling at high speed, so today the largest brokerage companies, banks and hedge funds make deals mainly with the help of robots. They accelerate and simplify the process of exchange trade, they allow you to earn almost every participant in trading. The trading robot is trained to trade on a certain strategy and can do everything on its own. It is enough to include it on your terminal. You can deploy a ready-to-run VPS server, including for algorithmic trading and auto-research, in minutes, and just a few mouse actions are required to configure it for current requirements. 1. Low cost of ownership. At one trade terminal with several advisers / robots, a configuration from $11 per month is required. 2. Multiple redundancy of power and communication lines at the data center level. 3. Absolute mobility. You will get access to the server from any PC, tablet, smartphone from anywhere in the world. At the same time, the speed of the server’s interaction with the core of the exchange / trading system does not change, which is extremely important in trading. Thus, the advantages of using virtual servers are the reliable provision of VPS with uninterrupted communication and power supply, its round-the-clock availability from anywhere in the world, high response times and geographic proximity to the exchange. When renting a VPS server, you are no longer tied to one computer, you can go to your server, to your terminal, from any computer with an Internet connection, wherever you are. And to keep many running terminals on the home PC is simply inconvenient. Power outages and loss of Internet access are not a threat to you. The terminal with the Expert Advisors is on the server and will work without interruption due to redundancy and high availability of the systems in the data center. As a platform for VPS, the most advanced and powerful equipment is used and operate under the latest versions of the OS Windows Server, which guarantees high quality and reliability. Stability and high speed of work of instruments of trade guarantees the agreement on a level of service (SLA). By purchasing VPS, you get at your disposal a remote virtual computer that functions 24 hours a day. Work with it is not more difficult than with a home PC: in most cases you will have a familiar Windows desktop.You can perform all the usual operations on such a virtual computer. In fact, before you are the same Windows as on a regular PC. All actions, such as installing programs, copying files, etc., are performed in the same way as on your home computer. Installation and configuration of the trading terminal will take almost the same time as when working with a regular PC.Equally important is the fact that the work of the terminal and trade robots does not differ from the “local” version. For example, to install the MetaTrader 4 terminal, you need to visit your broker’s website (or the MetaQuotes website, developers of the trading platform), download the installation file and run it, then go through the usual steps of installing the program. 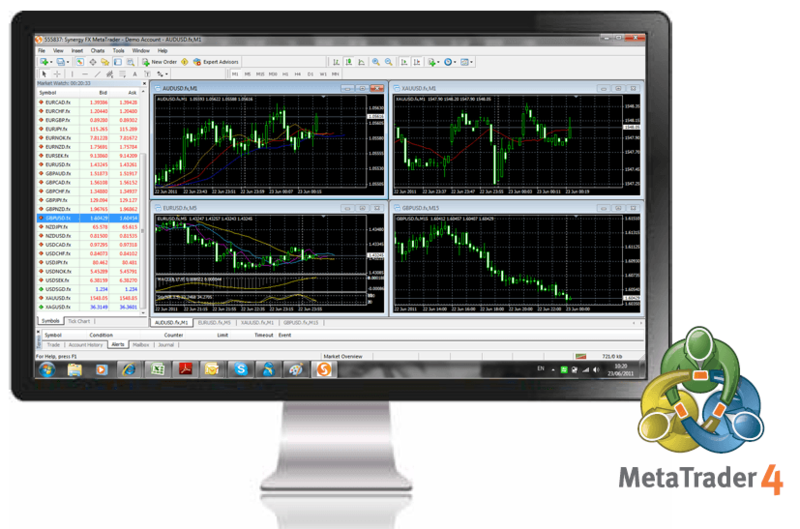 After launching the program after installation (if it does not start automatically), you will see the terminal window of MetaTrader 4. Then you can open a demo account and test the terminal operation. You can disconnect from the VPS, while the trading terminals you have started and any programs will continue their work.There are unforeseen situations when, due to some force majeure circumstances, or through the fault of the provider, the VPS server reloads. It can be done so that all the most important programs and trading terminals after the system reboot are started automatically and could continue their work. To do this, simply drag the shortcut to the Startup folder, through the Start menu – All Programs – Startup. A special service like Ping Admin will allow you to always be aware of the health of the server. Thus, with simple steps you gain access to the remote desktop. The only difference from the PC is that all your actions are transferred to the provider’s server, so there may be some delay in responding to your actions. But it does not mean that the virtual server “slows down”. Comparison of the potential profit and the cost of the server indicates the feasibility of using VPS.The VPS server can be an excellent tool for increasing the efficiency of trading. This technology is actively used by traders. In this case, working with a virtual server will require very little effort at the first stage – to familiarize with the VPS. Exchange trade has long been the area of ​​application of the most advanced technologies that change the mechanisms of interaction of exchange players. So, the company engaged in algorithmic trading can use virtual servers VPS to optimize the costs of the structure, testing any strategies. It’s cheaper than buying expensive equipment. Another model is that the consumer is a broker company that resells the services to end customers. Within the framework of these models, the service can be divided into several variants with the equipment placed in the data center of the exchange, broker, or provider. Customers ordering VPS servers get the opportunity to connect to the exchange by their own trading robot or terminal with minimal network delays.